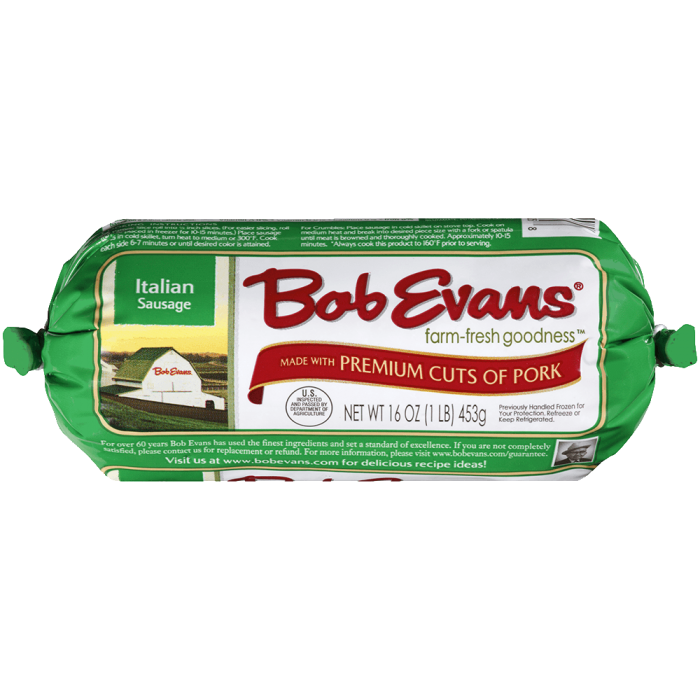 In a large skillet over medium heat, add sausage and crumble with a potato masher until fully cooked. Remove from skillet and drain on paper towel. Set aside. Roll out 1 loaf of dough on lightly floured surface to a 12" to 14" rectangle. Evenly spread half of the sausage and place half of the pepperoni on the bread dough. Leave a 1" inch space of plain dough around edge of bread loaf without toppings. Using a pastry brush, apply egg wash to the entire edge of bread dough. Fold the long side of dough edges together and pinch together to form a seam. Pinch the ends and sides together to completely seal in all the fillings. Pickup loaf and place onto cookie sheet seam side down. Shape loaf into a circle by connecting the two ends to make a Stromboli shape. Brush top with remaining egg wash and sprinkle with half of parmesan cheese. Using sharp serrated knife make slits in top of Stromboli every 3-4". Repeat process with other loaf of bread dough. Bake for 25-35 minutes or until golden brown. 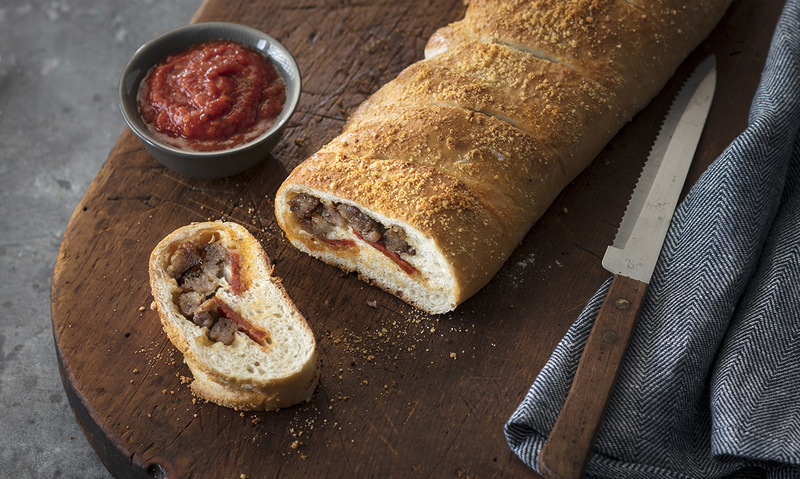 Allow Stromboli to cool for 5 minutes before serving. 2 Thaw dough according to package instructions. 3 In a large skillet over medium heat, add sausage and crumble with a potato masher until fully cooked. 4 Remove from skillet and drain on paper towel. Set aside. 5 Roll out 1 loaf of dough on lightly floured surface to a 12" to 14" rectangle. 6 Evenly spread half of the sausage and place half of the pepperoni on the bread dough. Leave a 1" inch space of plain dough around edge of bread loaf without toppings. 7 Using a pastry brush, apply egg wash to the entire edge of bread dough. 8 Fold the long side of dough edges together and pinch together to form a seam. Pinch the ends and sides together to completely seal in all the fillings. 9 Pickup loaf and place onto cookie sheet seam side down. Shape loaf into a circle by connecting the two ends to make a Stromboli shape. 10 Brush top with remaining egg wash and sprinkle with half of parmesan cheese. 11 Using sharp serrated knife make slits in top of Stromboli every 3-4". 12 Repeat process with other loaf of bread dough. 13 Bake for 25-35 minutes or until golden brown. 14 Allow Stromboli to cool for 5 minutes before serving.